A dramatic video has emerged showing the heartbreaking moment three circus elephants rallied together, defying their captors in a desperate bid to end the abuse. On Saturday, the animals were being paraded before a crowd of onlookers through the streets of Karrebæksminde, Denmark, when things took a shocking turn. After a handler from Cirkus Arenas reportedly began beating one of the elephants, all three broke from their sad march to lash back against those mistreating them. 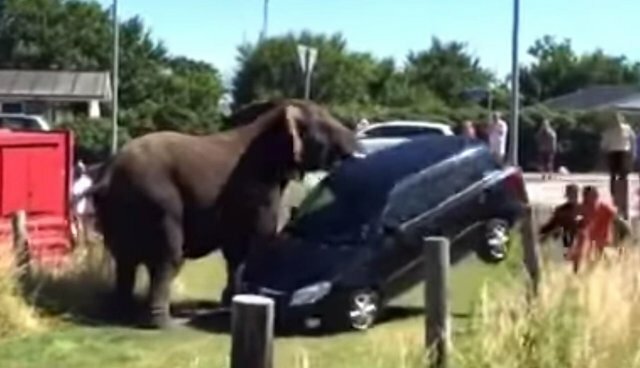 Footage from the scene shows the frightened elephants facing down their keepers. At one point, in a show of immense strength, one of the animals even lifted a car to drive away the crowd harassing them. 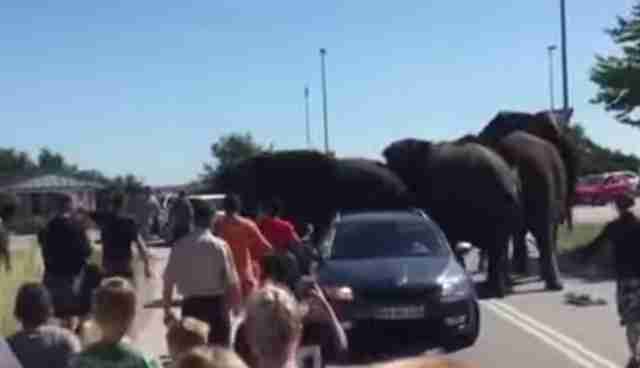 While the elephants clearly appear agitated with the gathering onlookers, they caused no injuries. Eventually, their tempers calmed and handlers were able to regain control using bullhooks, sharpened tools used to intimidate elephants into submission. Officials have tried to downplay the incident, placing the blame on the crowd getting too close. "I actually think it's funny, now that it ended as it has," circus director Benny Berdino told news outlet Ekstra Bladet. 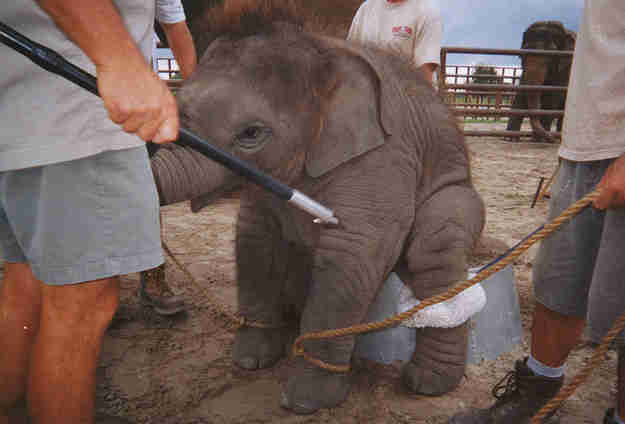 Though the elephants ultimately lost control of their fates once more, forced back into a life of being made to perform for entertainment, the moment they broke free reinforces a sad truth: Circus elephants are never happy.